For those who need more than occasional guidance, or have a lot of questions! Get 1 tarot reading of your choice AND 1 tea leaf reading PER MONTH for the length of your subscription. The 6 month package is priced such that you get a free tea reading, the 12 month package saves you over $100! Our resident reader is a Gitana (Gypsy) who's family has been reading cards and tea for generations. She offers divinations to guide you with questions of life, love or general curiosity. In-depth, thorough readings are typed & sent via email. Our reader will contact you each month for your choices. Tarot choices are found on the "Shop Readings" page. For those who need more than occasional guidance, or have a lot of questions! Get The Whole Vardo! 1 tarot reading of your choice, 1 tea leaf reading, and 1 rune reading PER MONTH for the entirety of your subscription term. The 6 month package is priced such that you end up with a free tea reading AND a free rune reading, the 12 month package saves you over $150! Our resident Gypsy reader offers divinations to guide you with questions of life, love or general curiosity. In-depth, thorough readings are typed & sent via email. Our reader will contact you each month for your choices. 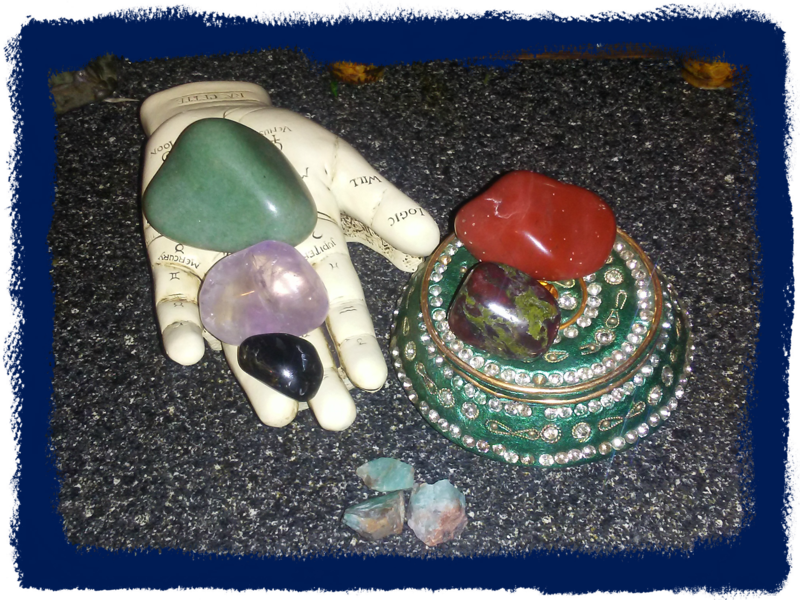 For the entirety of your subscription, you will receive a new tumbled stone every month! You will receive stone and a stone bag the first month, and the carefully chosen stone all following months. Great for those who are just starting their collections, or those who like a little surprise in their post box. Stone sizes will vary by month/type. U.S. shipping IS included in your subscription price. International buyers will pay actual shipping to their location. We may be off chasing treasure, or attending some raucous pirate meeting... but we're just an email away! Contact us anytime and we'll get back to you as soon as we hit land! Send us a "telegraph". If you don't have your computer set up to send mail directly from this page with a mail client, please use the contact form on the About page. Thanks to the invention of the flat rate shipping box, Selkies, Ships & Sirens Eclectic Emporium will ship your order to the Continental US based on quantity. If you live outside of the Continental US, please contact us regarding international shipping. Learn more about our shipping rates. We will accept returns on unopened items and replace them only if they are damaged or the wrong type/size within 30 days of original ship date. Custom orders and readings can not be returned. A restocking fee of 20% will be charged for monetary refunds. Shipping for returns/replacements will be provided. If returning items, please ONLY return those items which are damaged or wrong. We will not pay to re-ship an entire order unless entire order is wrong.